River Rance and surrounding countryside. 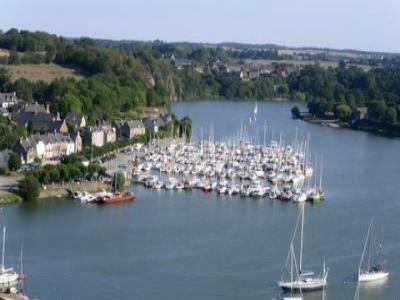 Dinan and are a 30 minute drive from the port of St Malo. Valley, Rennes, Cancale, St Malo. dining room or outside on the terrace overlooking the river. choice of cuisines available in Dinan, a 5 minute drive away.